Innova Controls let you adjust easily the temperature, humidity, ventilation and brightness of lighting in your sauna room. They are equipped with several useful sauna functions. One of which is the easy to use weekly pre-set timer where the user can initially set up the desired settings and schedule for up to 3 sessions per day and 7 days a week with each of the sessions having their own settings. There is also a keypad lock to prevent children and unauthorized people from changing the settings. Innova Touch is an LCD touch screen control. It has luxurious chrome plated ring that wraps the plastic casing. The control can be neatly recessed along the outside walls of the sauna room leaving only interface protruding from the wall or can be mounted with an optional wooden interface holder. - Contactor unit is very powerful with switching capacity up to 15 kW. However, if your heater is more than 15 kW, an additional contactor unit is needed. Together two contactor units can supply power up to 30 kW. Contactor unit is not included when only control panel is purchased. Control panel without contactor unit can be purchased in case if heater has a built-in contactor in the heaters case. - Temperature sensor with over-heat fuses are with Cedar wooden covers. 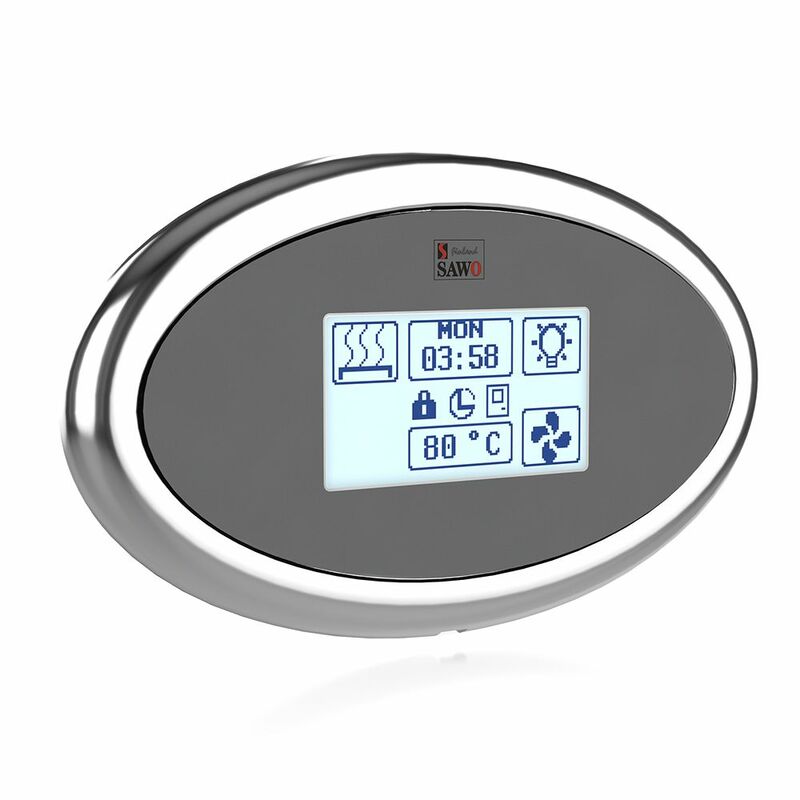 Combi contol set includes temperature sensor and humidity sensor. - 4-meter RJ cable is included in the sets with contactor box. This is to connect your interface and the Power Controller. For more information please read manual.